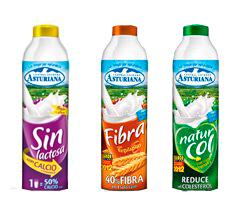 The Grupo Sindical de Colonización de Asturias is founded and led by Jesús Sáenz de Miera y Zapico with one clear goal: open and star a large-scale Asturiana milk producer, the Central Lechera Asturiana. 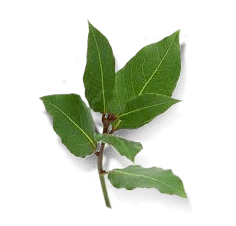 Central Lechera Asturiana was founded in this year, as a breeders’ cooperative. An Asturias tradition was followed at the inauguration: placing a wreath to attract success and good luck to the project. 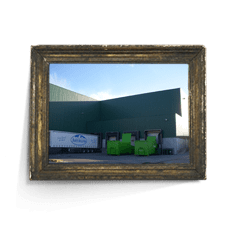 Opening of the Granda Factory (Asturias) and launch of the first non-returnable plastic bottle made with Stork technology, which proved a watershed moment on the mar. Goodbye to the glass bottle! 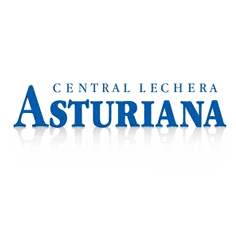 Second expansion of facilities making the Central Lechera Asturiana one of the largest companies in Europe. 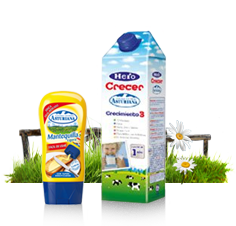 Its range of products diversifies through the production of butter, yogurts and cheeses. Commencement of the streamlining of milk collection and start-up of the first cattle feed factory to supply dairy farmer partners’ needs and achieve increases in production and quality. Installation of a cooling system in dairy farms, providing one of the greatest advances in the Asturias fields. Milk is no longer lost and production volume increases. 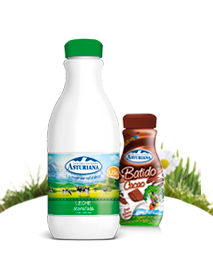 The cold chain ensures the milk is preserved until the time of collection. As you can see, the company is always concerned about offering the best quality. Export of our first products. 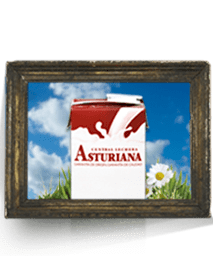 With this new turn of the decade, Central Lechera Asturiana returns to innovation: the launch of the first carton. Doesn’t it seem as if they have been in our homes forever? 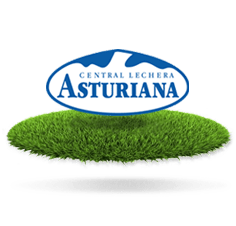 Rebranding of the Central Lechera Asturiana image. 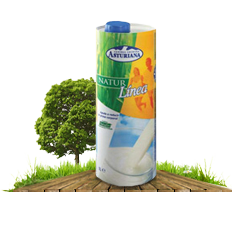 Central Lechera Asturiana becomes an Agricultural Processing Company. 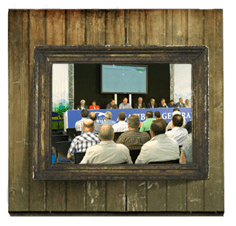 Change in the corporate image and incorporation of the company Sociedad Agrogeneradora de Asturias. 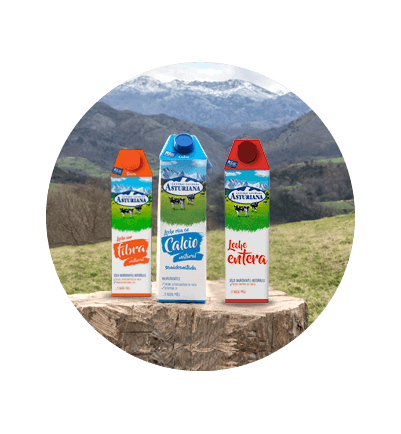 100% of the shares of the Cantabrian collection company CRLC are acquired, along with 100% of the cheese company from Ferrol, Quegalsa, and 66% of the Asturias company Galeastur. 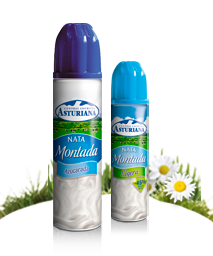 Central Lechera Asturiana sets forth to conquer new products with the creation of its first yogurts and desserts. 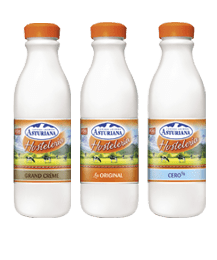 As delicious as our milk! 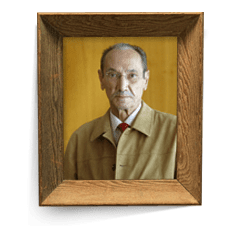 Implementing of the Strategic Plan. 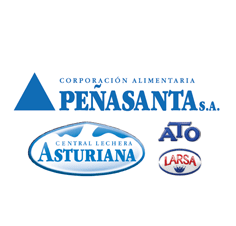 Incorporation of CAPSA to include the brands LARSA and ATO and thus create the first Spanish dairy group, Corporation Alimentaria Peñasanta, to take a leading role in the market. 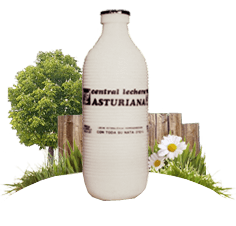 Central Lechera Asturiana has always been attentive to your needs. 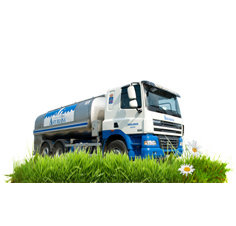 This year, for example, the company launched the new cap, cleaner and more convenient. This year the Pack of six units with a handle was launched, making it easier to carry. 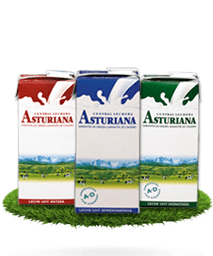 It has been so easy since then to buy Central Lechera Asturiana! 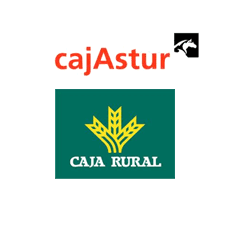 Inclusion of Cajastur and Caja Rural de Asturias as shareholders. 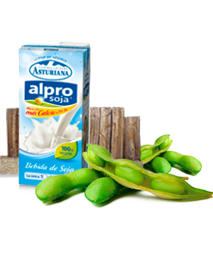 The first products with soy were launched. 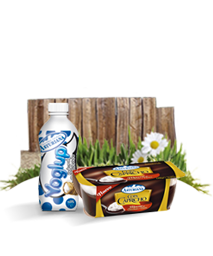 Today there are drinks, smoothies, desserts, creams… Up until then these products were completely unknown! 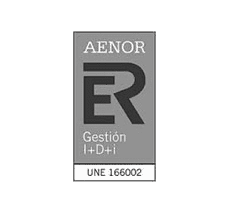 The company obtains certification of its R&D system under the UNE 166002 EX standard making it the first Spanish company to achieve such a distinction. New Naturlínea product line in an exclusive package by the supplier SIG COMBIBLOC – the oval-shaped Combishape. 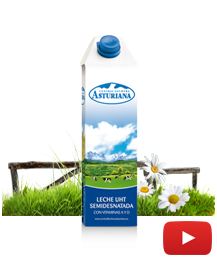 Since inception, Central Lechera Asturiana has not stopped improving its packaging. In 2005, the 1.5 litre and 200 ml formats were launched, more practical and tailored to your every day needs. 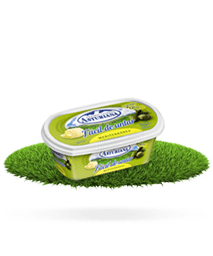 This year the company’s product portfolio grew with the arrival of the delicious butter enriched with olive oil: Mediterranean. Healthy, delicious, made to enjoy. Cooking with cream without worrying about your weight? This was achieved this year. The spray cream with 40% less fat was launched. New Food Service business unit. New bottling facilities at the Granda factory (Asturias). 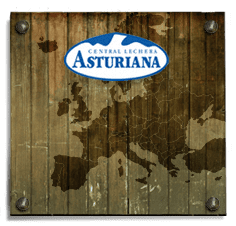 In 2006 Central Lechera Asturiana had a special place in your home, but also wanted to be present in your bar or café… the Asturiana Hostelería range was launched. Launch of the new Gémina packaging. We wanted to tell you “That not all milks are equal.” Do you remember? 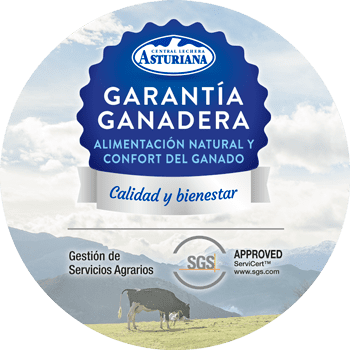 Central Lechera Asturiana is a reference in the Spanish dairy sector that has continued to evolve in order to offer the best products to its consumers. 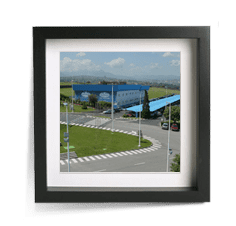 Opening of the Zarzalejo factory. 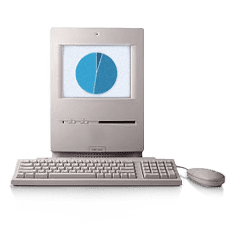 Participation in the Ministry for Science and Research’s Cenit-Senifood project researching diet and food. 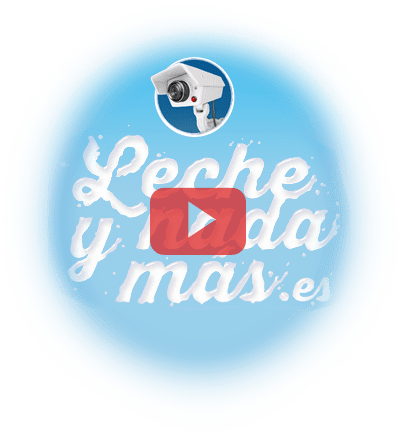 National recognition for the “Porque no todas las leches son iguales” (Because not all milks are the same) campaign, a benchmark for Spanish marketing. Launch of Hero Crecer and Botequilla. 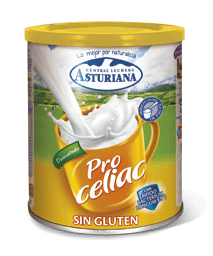 Central Lechera Asturiana cares about your health, so it created Proceliac, an additional supplement to a gluten-free diet, developed in collaboration with the CSIC and Biópolis, which provides greater protection for those with coeliac disorders. 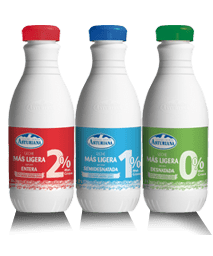 Central Lechera Asturiana revolutionised the market with lighter milk, a new generation of milk with less fat. Caring for you comes first for us! 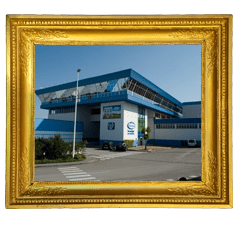 Wholesome Company Certificate, awarded by the Asociación Española de Normalización y Certificación, AENOR (Spanish Association for Standards and Certification). 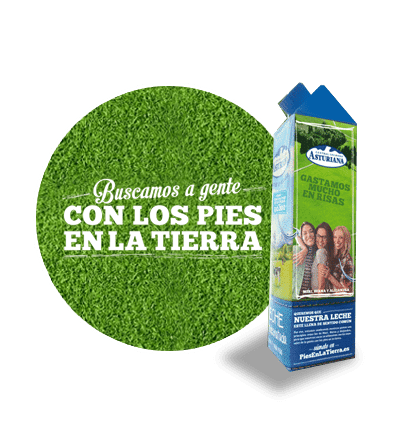 Our milk is synonymous with nature and quality, as expressed in our recent campaign “Central Lechera Asturiana is milk and nothing else”. 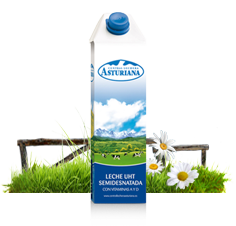 Central Lechera Asturiana also has its feet on the ground, it therefore lowered the price of its milk. This is our way of saying that behind our milk there are plenty of farmers who walk beside you with their feet on the ground. 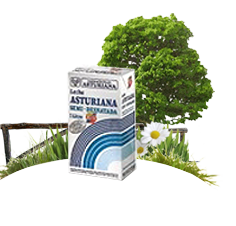 Central Lechera Asturiana is firmly committed to meeting the different needs of consumers. 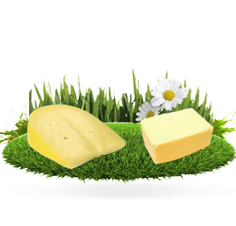 This is demonstrated by the launch of the 0.0% fat milk for those who want to enjoy all the properties of milk without the fat. 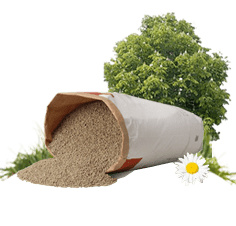 Objective: 100% natural ingredients. 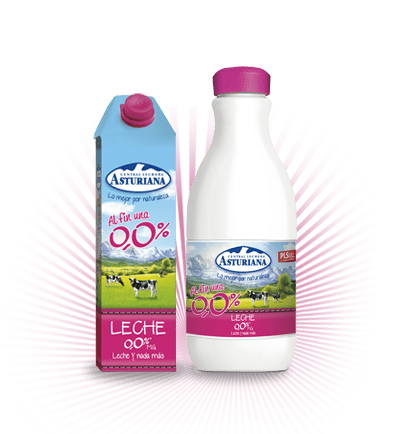 Central Lechera Asturiana defends all things natural, and is therefore committed to using 100% natural ingredients in its dairy products.